OK, let me give you a different spin on the whole interest rate thing-a-majig. To keep it in simple terms, when the RBA puts up interest rates they think things are going great, awesome, fantastic. …when they lower them, they think times are tough, the outlook is bleak and difficult. Most mortgage holders think the opposite when interest rates go down. They're wrapped, ecstatic and over the moon. But here's what I think… It's time to party like it's 1999. Back in 1996, we were paying interest rates of 11% …ish. The cash rate was about 6.75%. The banks were killing it and making a fortune. Then we see the rates come crashing down from 11% to 7% within 12 months. Between 1997 and 1999, rates stayed stable. OK, here's why it's relevant. The period between 1996 through to 1999 was the best time to buy real estate in that particular cycle. I personally bought a single-front in Brunswick, Victoria for $104,000 during that period. Within 3 years it was worth $250,000. So, if you were smart enough to be able to pick a bottom and then start investing like crazy, it would have had to have been 1999… Hence my silly little subject line. In fact, it should be party like it's 1996 all over again and get a 3-year head start on the rest of the market (if you follow my philosophy and thinking). The interest-rate cycle high I see as late 2007 at around 9%. Same deal, interest rates came crashing down from 9% to under 6% around the 2009 period (similar to 1996-97). Because this is fairly recent, we all remember what happened when interest rates hit that 6% low. Lots of folks piled back into real estate, and if you bought well in the right states, you would have made 20-30% gains in 2 years. …but then the RBA did something really weird. In the eye of the GFC storm, they started lifting rates. You can thank the 2-speed economy theory for that. Now that their view is that the mining boom has ended, they can resume their normal programming… and that's what we've started to see with their recent rate-cut. I think we'll go back to the previous low (look at the green line) of just under 6% within a 3-6 month period… and then we're going to flat-line. Here's my view… The period between 2013 and 2016 will be a great window of opportunity to create wealth in real estate. But it won't just be real estate. There will be a lot of other strategic opportunities because of this cycle interest rate low. Pretty simple. You have to ask yourself this question… When interest rates are low (think cost of money), then who benefits from that type of environment? …in fact write that up on a Post-It note and slap it onto your desktop so you can see it every day. – I hate to say it, but banks as well. OK, I hope that makes sense to you. I could go on and on, but I don't want to confuse you with too many ideas here. The main premise is that I'm getting this feeling that it's 1996 all over again. Back then I was just starting to get my act together and didn't have a lot of money. This time, I'm cashed up and believe that I can double my wealth in the next 3 years and then disappear to a remote Greek island, drinking Ouzo, eating the catch of the day and cruising around the Mediterranean. P.S. Hey, leave a comment., I'm sure I'll get a lot of arm chair economists telling me all the reasons I'm crazy, history doesn't repeat, times are different now, what about this and what about that? P.P.S. 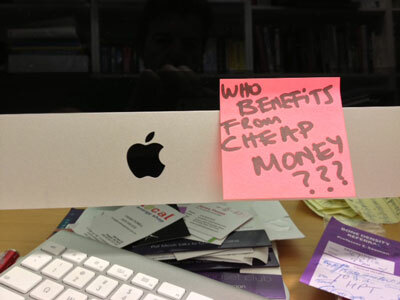 Here's that question again… Who stands to benefit if money is cheap? Did you put it on a Post-It note? I did. Here's photo evidence. P.P.P.S. 2013-2016… It's time for you to achieve your greatness. Or as the AFL coined it, This is Greatness. It certainly will be if you get off your toosh, and to use another legendary AFL saying from John Kennedy… DO SOMETHING! Thats was interesting.. in your opinion would NZ or Oz be the best place to invest in real estate..quick history lost every thing 55 now earning good money here in OZ got 20000 saved what to do ?? Fully agree with you. However, RBA should have cut by 50 basis points. This would have been MUCH more effective than 2 x 25 ! One day they might learn. I agree as we have always found, the market is cyclical and as Buffet says – it’s time to be greedy! I need no convincing; I’m investing in real estate thu my SMSF as heavily as I can over the next three years. All good stuff – but do you have any specific suburbs we should invest in? I wouldlike to buy a block of 4 apartments for the children. You’ve fired me up, Jon! Done my pink post-it and stuck it on my MacBook for constant reminder. Getting on to some research now and hopefully will be in a position to some action in the very near future. Does that theory apply to buying in mining towns or only cities? 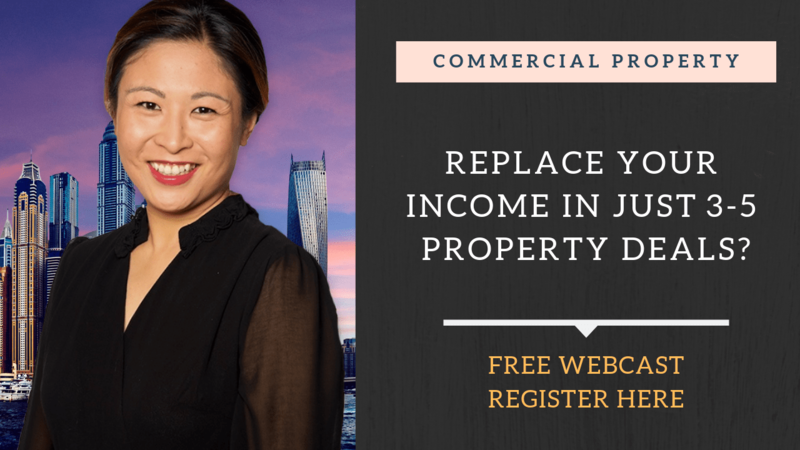 I’m a developer and have been for 10 years now, specialising in low cost entry level investment properties. No matter what positive things have happened over that time the press have ALWAYS successfully found something negative to report that overshadows any reason for the unsuspecting public to get ahead. High dollar, fuel prices finally coming down, low unemployment, low interest rates and the best thing to push the economy along being construction and investment just can’t get any momentum cause clearly it doesn’t suit someone for the little guys to get ahead. I know we’re the lucky country, it just doesn’t feel like it. I think you’re “right on the money” – as any well-versed “chartist” in the know will agree! Having the knowledge is valuable! Having the *CAPACITY to apply that knowledge (*funds) is POWER. Knowing how to acquire the Capacity is OMNIPOTENT!!!!(copyright). (How) can you assist in the area of “capacity”???? Hey Jon with the way things are in Greece, you could be buying a property there to enjoy your retirement! Does your advice apply to foreign destinations as well? Hi Jon, My father always said, “Son, if you don’t know the past, you will never know the future.” He would have been 100 years old last birthday. You are spot on and I can’t get enough of your comments. Thanks mate, Ken Wong. You are a funny fellow. I’m not going to contradict you but someone will; be ready. I started buying in 1992 and I have to tell you that that time was, as you note, 3-5 years too early. But I bought within my means and whilst it was a boon for the negative gearing (a LOT of negative gearing), I stuggled though as the prices went down (lost some capital) and the vacancies went up. Then, 1999 came and it started to turn. By 2010 the rent was paying the mortgage (I did not redraw over that period – so the loan as effectively half the value of the property). Then I refurbed and that was it. I now have 8 investment properties and I can tell you that 2 of them are your fault! (Another 2 are Steve McKnight’s fault). Refurbs are starting soon, then revaluing, then more purchases in the quiet period of late December and Jan ’13. There were “The good old days” formerly known as “These trying times”. Making a start is difficult. Property Situation 1996 and now. A LOT of graphs on that site. It costs twice as many years of disposable (after tax) income to buy a house now as in 1996. So we are still “overpriced” compared with those days. That indicates not much headroom for expansion in house prices. John, Your Outstanding Perception is only matched by your outstanding omission in the “Mortgage Interest Rates trend of 1986 to 1993”, when I foolishly “Jumped Boat” from being a “Bank Executive” in 1986-1990, to running “my own consultancy business” and personally seeing my Mortgage Interest Rates rise from my “Bank Executive Interest Rate of 1.5%” to the “Keating Recession We (All Australians) HAD TO HAVE Interest Rate of 17% to 19%” – when I said to my wife: ” Darling, we have to sell the house, so that we can pay 1/4 of the Bank Loan Amount to the Bank, in RENT, so that we can at least have a life!!!”. By the way “The Greatness Motivator Carrot Stick” I can recall, is not so much that of legendary John Kennedy… DO SOMETHING! , which is OK, but that of another KENNEDY, that is John F Kennedy, who said: “It’s not what your country can do for you, BUT what You Can Do for Your Country!!!”….. John, since the “Recession we have to have”, and since “the GFC of 2008”, in spite of being advised by my accountants and Fin Planners, to sell assets in order to reduce debt (loan repayments), I have not implemented such advise (despite paying for it), instead I have managed to “HOLD ONTO OUR ASSETS”; and thank God we did, because now, according to my calculations, I can honestly say that your perception” of a brighter future in real estate” over the next 2 to 3 years, gives me even more confidence to buy more assets, especially if it’s “with OPMs money and a little of my own”….!!!??? What Jon said was so right now looking back!!!!! I have a significant portfolio of real estate (dozens). I agree with the likelihood (not certainty) of a 2013-2016 party driven largely by low interest rates. I am also contingency planning for the strong possibility of very significant interest rate increases 2017 onwards.